French link bits soften the effect of a single jointed bit by eliminating the nutcracker action and palette pressure. This is achieved by a shaped flat plate which rests on the horse's tongue. 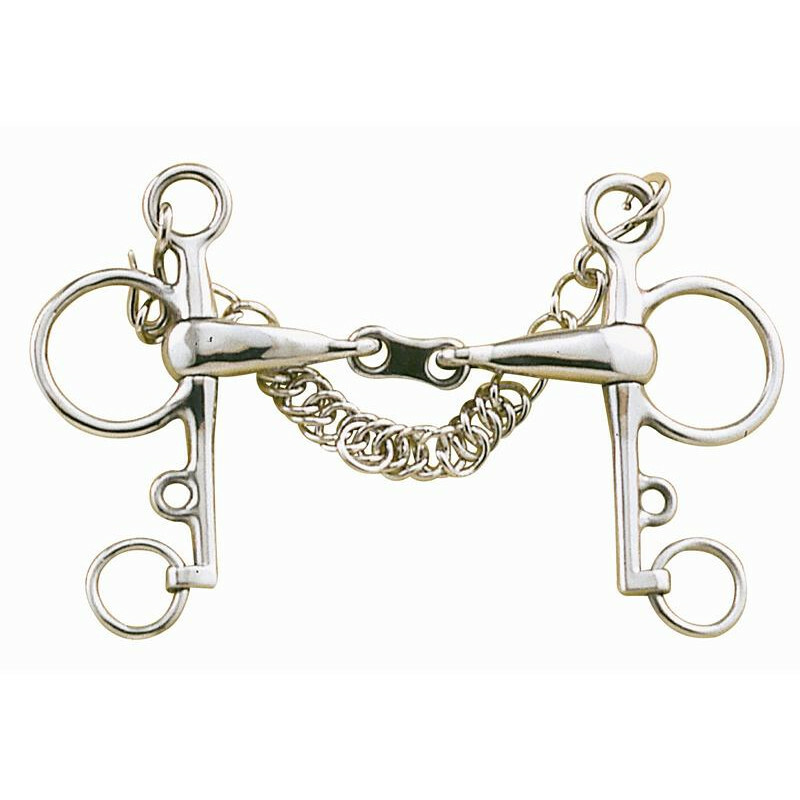 This makes this bit from Lorina a good choice for horses who reject the conventional Snaffle Bit. Nevertheless, the curb chain and double rein design results in a strong bit which provides excellent control. There are currently no questions for Lorina French Link Pelham - be the first to ask one!